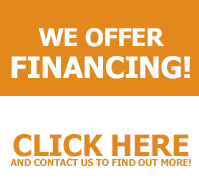 Furnaces The Tarpy team has experience working with all types of furnaces. Our expert team can service your furnace, identify problems that are causing it to underperform, or, if you need to have a new furnace installed, we’ll help you determine which makes the most sense for your property. We work with homeowners and business owners to keep their furnaces running efficiently and safely. Many people who live in moderate climates (such as the usually sunny Southern California) find that a heat pump is their ideal heating solution. 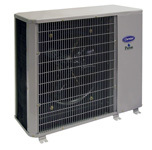 Unlike traditional alternatives, which often burn fuel to create heat, a heat pump system transfers heat. It uses a relatively small amount of energy and is a versatile system that can also be used for cooling during warmer weather. A wall heater, or wall furnace, is used to heat up a specific room or contained area, as opposed to an entire home or building. The furnace draws in air, heats it up, then blows it back out into the same area. Wall heaters can be either gas or electric. Gas models move the air past hot gas in order to heat it up, while electric models heat the air through the use of electric coils. Radiant floor heating is a convenient option for many homeowners. Electric floor heaters use a wiring network, while hydronic systems depend on a tubing system that lies under the floors. Both systems generate a soothing, comfortable heat that emanates from the floors. There are no noisy vents, and owners can save money by keeping the overall air at a lower temperature while still staying warm and toasty.